Over the years Sri Lanka – Ceylon before 1972 – has played a significant part in English domestic cricket. Here is a team of them. Before the team, though, a couple of honourable mentions. First, the pioneer, Dr Churchill Hector Gunesekera. An outstanding sportsman at Royal College, Colombo, Gunesekera went up to Cambridge in 1913 but his chances of a blue were scuppered by the outbreak of war. He remained in England to complete his medical studies. Between 1919 and 1922 he played intermittently for Middlesex scoring 644 runs at just under fifteen and taking seventy-five wickets at 28.80 apiece with his right arm medium pace. He took five for fifteen against Lancashire at Old Trafford in 1919. Nothing very special there but what makes his English career interesting is that he played a number of matches in Middlesex’s championship – winning years, 1920 and 1921. The 1920 season saw one of the most famous of all Championship title races, immortalised in Ronald Mason’s 1970 book, Plum Warner’s Last Season. 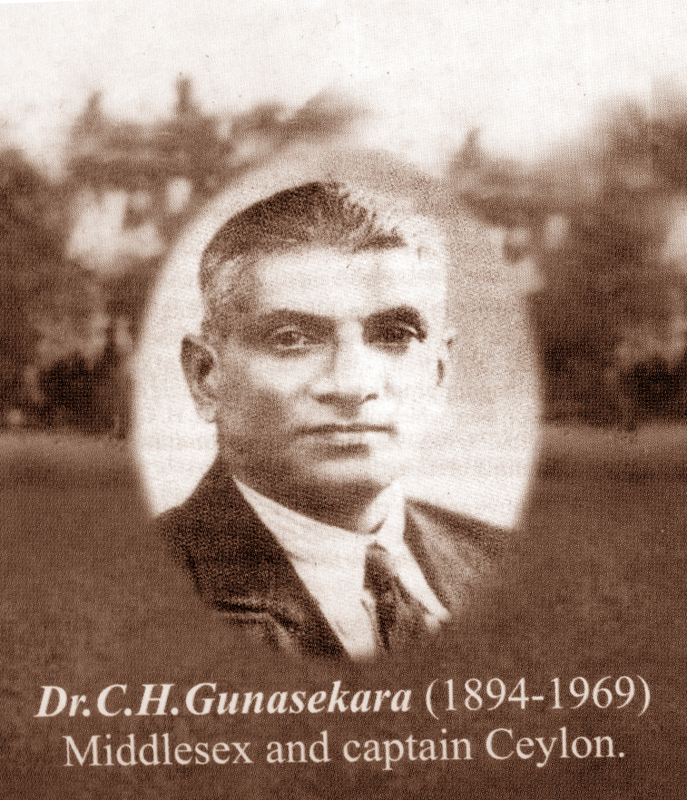 Gunesekera appears in match scorecards as Dr C H Gunesekera, which at least gives him something in common with the immortal Dr Grace. After returning home he captained Ceylon nine times and led them on tours to India and Malaya. His son, L.D.S. (“Chippy”) was also a distinguished Ceylon player, a fine left-landed opener, good leg-break bowler and a shrewd tactician. 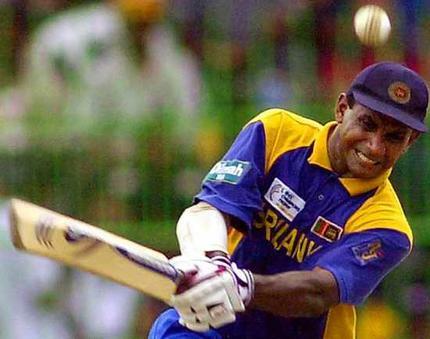 Even Jayasuriya might have to yield to Kumar Sangakkara in terms of prowess on the international stage. The astonishingly consistent left handed batsman – wicketkeeper seems to go from strength to strength, averaging 58.07 – higher than any other current player – at the age of 36. He had one brief foray in county cricket, with Warwickshire in 2007. It was a miserable season for the county, who were relegated in both the four-day championship and the one-day league, but nobody could complain about Sangkkara. 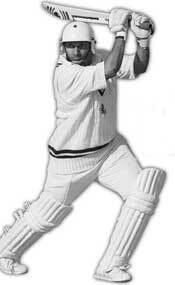 He averaged almost fifty in seven first-class games. His 149 against Durhan in his first game for the county was described by Wisden as “an innings of rare brilliance”. 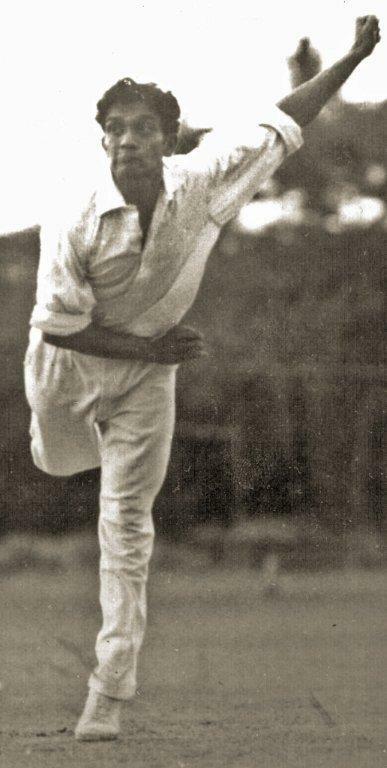 Not many batsmen really got after Clarrie Grimmett, the great Australian leg spinner. On the 1934 tour of England he took 25 Test wickets at 24 each. But in one game he was taken to pieces. Improbably it was the Australians’ game against Oxford University at The Parks. The tourists won by an innings and Grimmett took seven for 109 in 30 overs in the second innings but the Oxford batsmen F.C. (“Derrick”) de Saram made 128 out of 216: the next highest score was 16. Another product of Royal College, Colombo, de Saram had arrived in Oxford in 1933 but failed to get a place in the University side that year. Selected for the first game of the 1934 season against Gloucestershire, he hits a spectacular 178 in three hours, an innings marked by fluent straight driving and flashing square cuts. 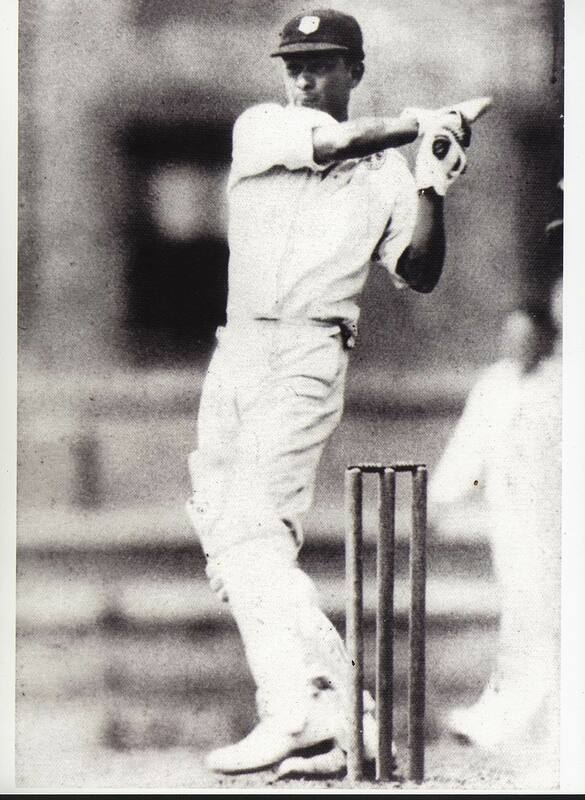 His innings against the Australians was equally memorable and he finished the University season with over eleven hundred runs at an average of fifty. 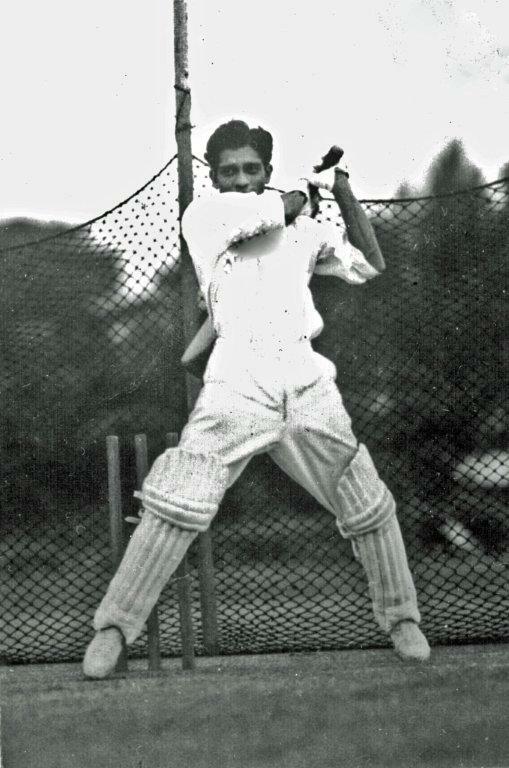 Wisden described him as one of the most accomplished batsmen to play for Oxford between the wars. That was the end of his first class career in England. He served Ceylon cricket with distinction and became a senior figure in the Army. He spent a period in prison after allegedly being involved in a failed coup d’etat in 1962. He died in Colombo in 1983. 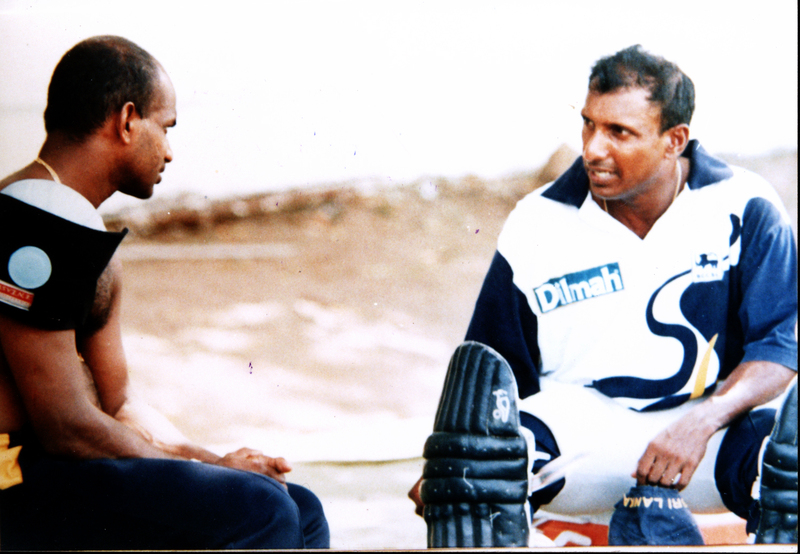 Aravinda de Silva is different from Jayasuriya and Sangakkara. He was not only an icon of Sri Lankan cricket – many would still say the greatest of all their batsmen – but he also became an icon of his county, Kent. He played only one season, 1995, but it was a full season and what a season it was. 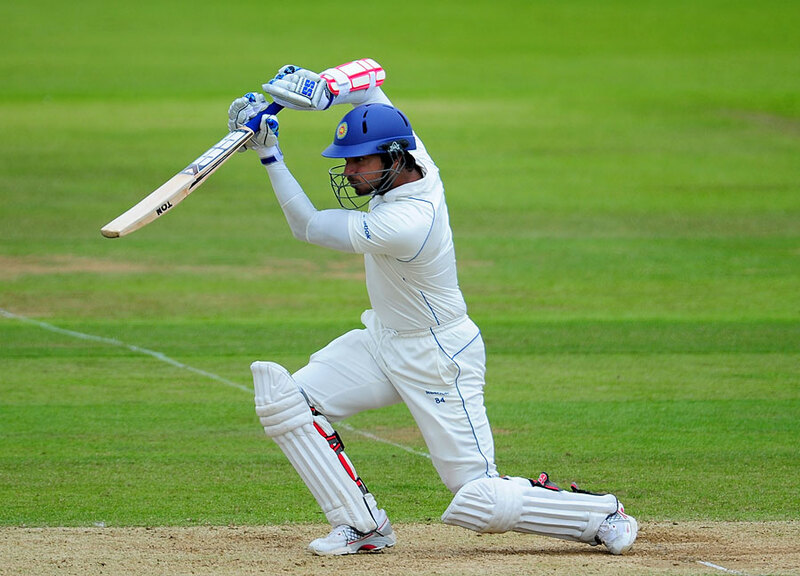 The county had been in the doldrums and de Silva galvanised them with his confident attitude and his impish, impetuous and improvisational batting. He towered over the other batsmen in the Championship, scoring 1700 runs at an average of almost 60 with two double-centuries, and he made an exhilarating hundred in the Benson and Hedges Cup final at Lord’s against Lancashire. Kent lost but he helped them win the Sunday League, their first title since 1978. Thilan Samaraweera appeared for Worcestershire in 2013 and as he had done with the national side, served them with quiet distinction. His under-stated performances for Sri Lanka put one in mind of the under-rated Larry Gomes in the great West Indies side of the 1980s. But Samaraweera cannot quite force his way into our eleven. The first was Stanley Jayasinghe. Born in Badulla in 1932 and educated at Nalanda College, Jayasinjhe was a correct right-handed middle-order batsman and an off-break bowler. As early as 1948-49 he toured Pakistan with Ceylon and he represented his country in several unofficial Tests, taking nine wickets in the victory over India at Ahmedabad in 1964-65: he made a hundred at Hyderabad in the same series. He joined Leicestershire in 1961 and in each of the four years from 1962 to 1965 he made well over a thousand runs. He was consistent rather than a heavy scorer – he made only three centuries for the county – but he was an attractive and hard-hitting batsman: there were 21 boundaries in his match-winning century against Nottinghamshire in 1965. 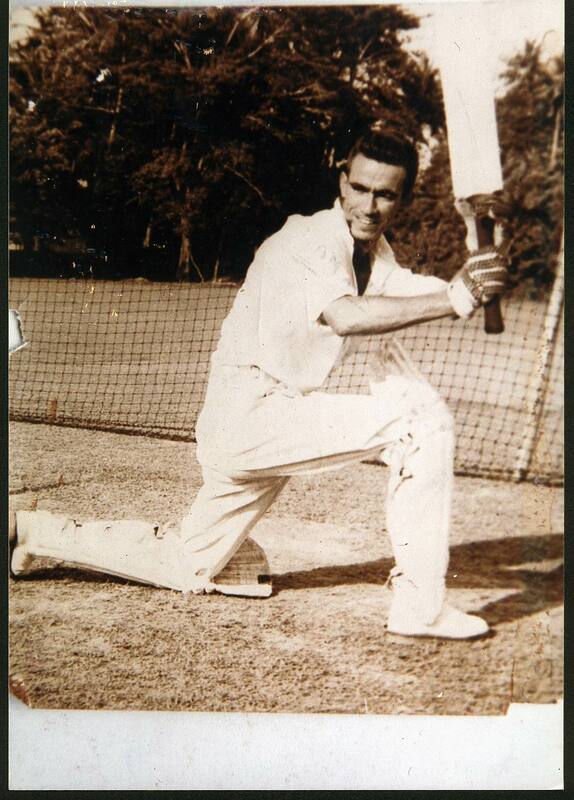 Gamini Gooneseena was an outstanding all round cricketer. 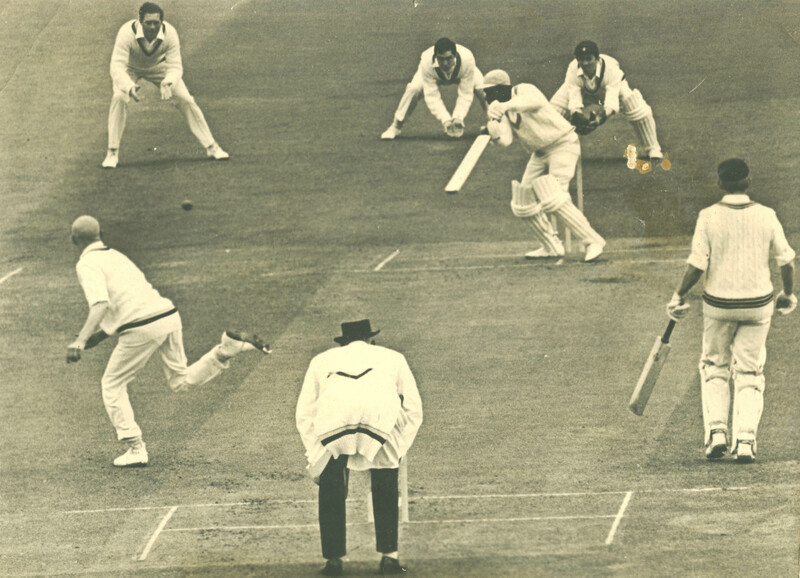 Twice – in 1955 and 1957 – be achieved the “double” of a thousand runs and a hundred wickets in an English season. Like Dr C H Gunasekera and Derrick de Saram he was a product of Royal College Colombo: he went on to Cambridge and obtained blues in four successive years, captaining the University in his final season, 1957. In the match against Oxford that year, which Cambridge won by an innings, he scored 211 (the highest score for Cambridge in the fixture) and took four for 40 with his leg breaks in Oxford’s second innings. 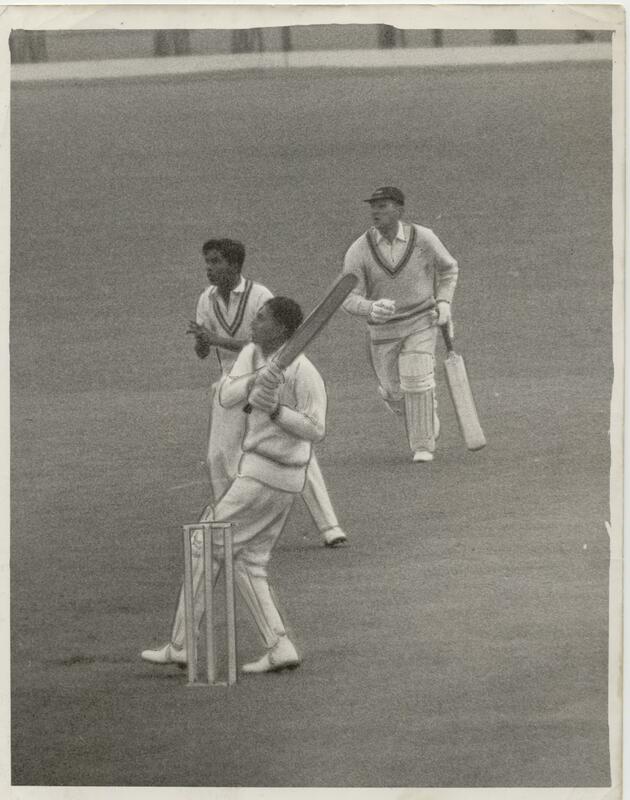 He played for Nottinghamshire from 1952 to 1958 when he joined the Ceylon diplomatic service. He served in Canberra for a number of years and while there played for New South Wales. 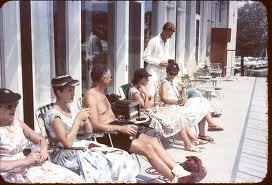 In 1964 he returned to England with the Ceylon Tea Bond and played half a season for Nottinghamshire. In his final first class appearance, for the Free Foresters against Oxford University in 1968, he took ten for 87 in the match. Eight hundred Test wickets – 795 of them for Sri Lanka – do not tell a lie. 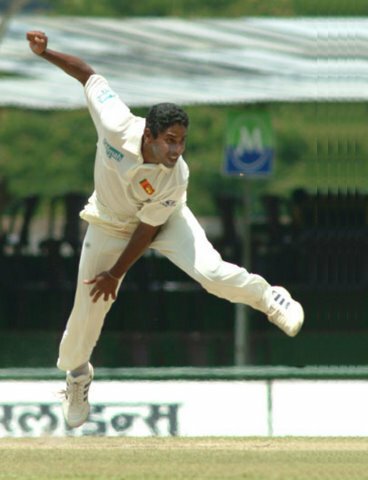 Muttiah Muralitharan was one of the greatest of all bowlers. International stardom is not a guarantee of success at county level of course: look at Sourav Ganguly and Shoaib Akhtar. But for Murali, every game mattered. 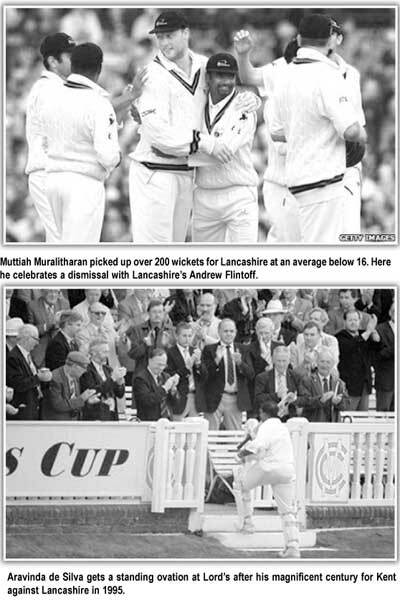 His record for Lancashire – 203 wickets at an average of under sixteen – also tells its own story. He spent half a season with Kent in 2003, taking 33 wickets at 13.54. These averages are almost freakish, virtually unheard of since before the Great War.